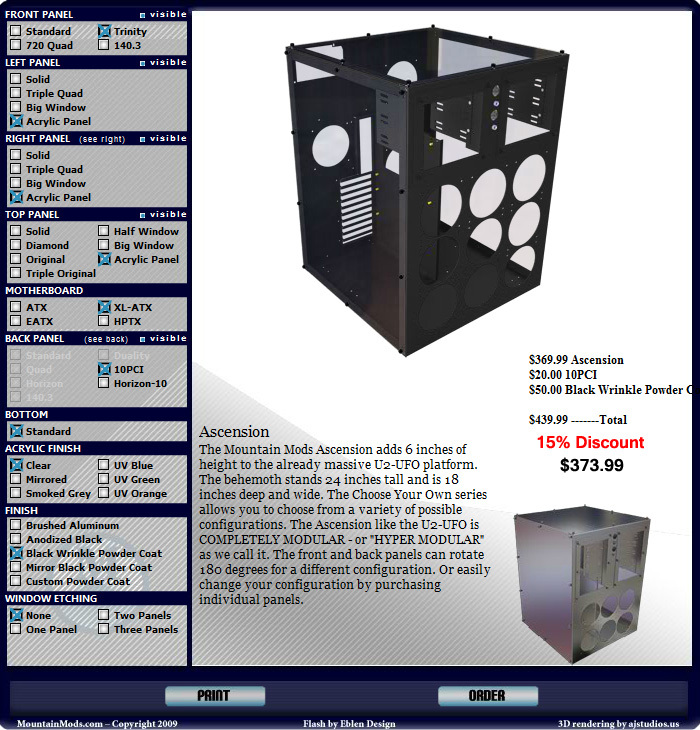 This Holiday season take advantage of a great case at discount pricing. ----: 1 x 120 fan port w/ PSU port left side. Side Panels: Full Cast Acrylic laser cut panels. Form Factors: Compatible with mATX/ATX/EATX/XL-ATX up to 10.x inches wide. Hard Drive ports: Includes 2 sets of 120mm HDD brackets up to 6 devices. Dimensions: 24h x 18w x 18d (inches).